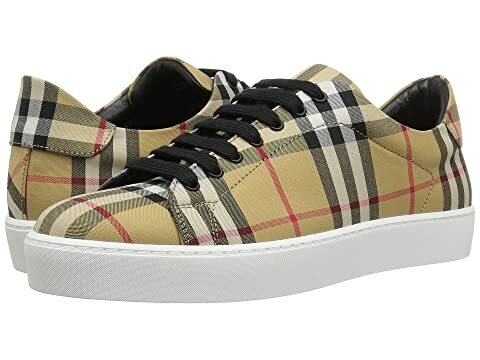 Make any outfit pop and receive those come hither stares when you are wearing the Burberry™ Westford Sneakers. A gorgeous plaid pattern adorned throughout. Stacked rubber outsole embossed with brand logo at the bottom. We can't currently find any similar items for the Westford by Burberry. Sorry! These are quite comfortable and a very attractive shoe. I will say that the color pink in real life isn't as bright as pictured, just slightly darker. Not a bad thing though. Overall, highly recommended. Overall: Rated: 4 stars! Comfort: Rated:2 stars! Style: Rated:5 stars! These shoes are very cute! When they arrived they were laced very tight, which made them feel too narrow for my wide feet. I relaced them and they fit perfectly!